When you talk to electricians, tools become a sort of sacred thing. Everyone has their favorites. Still, we have swayed more than one journeyman by placing a new tool in his hands. Our electrical tool reviews aim to reveal what electricians think about new products coming to market. Those might include a Klein non-contact voltage tester, Southwire RB1000 BendStation, or even hand tools. The new Milwaukee Gen2 combination wire pliers made a particularly big impact with some of our guys. 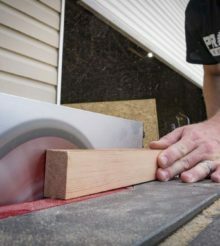 Our hands-on electrical tool reviews take things like press tools and metal hole saws and find out if they work faster than existing products. Manufacturers are quick to make claims, but testing those claims is what helps Pros and know if a tool can cut it in the field. Our Pro electricians work with us to determine whether or not new tools are accurate, ergonomic, and/or just plain helpful.